Why not find out more about your Scottish ancestors. Who they were, what they did for a living, how they lived, etc.. By knowing who your ancestors were, you can also get know a great deal about your family. Just imagine, wouldn’t it be great to know where you come from? Tracing ancestors isn’t an easy job but it offers a lot of fun and often also an opportunity to get closer with your living relatives. If you want to know who you are and where you come from, you have to start with your family. You probably don’t need help with your grandparents even if they are no longer alive. But for many people, tracing ancestry comes to an end already at great-grandparents, while a generation earlier typically isn’t remembered even by your oldest relatives. Nevertheless, they should be contacted anyway because they can tell you a great deal about your family which may not help you with your family tree but may help you a lot in your family history research. After all, wouldn’t you like to know more about your ancestors other than what were their names and when they lived? Only a small minority of families record their history back for centuries. Most families, on the other hand, lose every trail of their ancestors at great-grandparents or in best case, at their great-great-grandparents. As a result, you cannot avoid the archives that keep the records (in Scotland, the earliest records date to the 16th century) of births, marriages, deaths, wills and testaments, etc.. But since they are dispersed throughout the country, it is good to know that you can access all the most important records via the Internet as well. One of the best websites to look for your Scottish ancestors is ScotlandsPeople which enables you to access Statutory Records (certificates of births, marriages and deaths) from 1855 onwards, Old Parish Registers from 1553 onwards, Wills and Testaments from 1513 to 1925, Census Records up to 1911 and lots of other priceless resources for genealogy. We are here to guide you in your search for your Scottish ancestors. 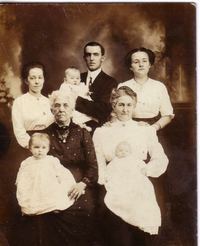 Genealogy and family history research isn’t always as straight forward process as it may seem at a first glance. But we are here to direct you to the right places, help you determine whether you are on the right track, answer your questions and offer advice on resources as well as the research itself. So feel free to browse our website and have fun rediscovering your Scottish roots.